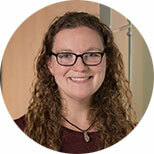 Erica Leigh Slepak is a Senior Data Services Specialist at the Institute for Health Metrics and Evaluation. In this role she is responsible for indexing (renaming, moving, and cataloging) large amounts of health data from a variety of data sources, making significant contributions to the Global Health Data Exchange (GHDx). Ng M, Fleming T, Robinson M, Thomson B, Graetz N, Margono C, Mullany EC, Biryukov S, Abbafati C*, Abera SF*, Abraham JP*, Abu-Rmeileh NME*, Achoki T*, AlBuhairan FS*, Alemu ZA*, Alfonso R*, Ali MK*, Ali R*, Guzman NA*, Ammar W*, Anwari P*, Banerjee A*, Barquera S*, Basu S*, Bennett DA*, Bhutta Z*, Blore J*, Cabral N*, Nonato IC*, Chang J*, Chowdhury R*, Courville KJ*, Criqui MH*, Cundiff DK*, Dabhadkar KC*, Dandona L*, Davis A*, Dayama A*, Dharmaratne SD*, Ding EL*, Durrani AM*, Esteghamati A*, Farzadfar F*, Fay DFJ*, Feigin VL*, Flaxman A*, Forouzanfar MH*, Goto A*, Green MA*, Gupta R*, Hafezi-Nejad N*, Hankey GJ*, Harewood HC*, Havmoeller R*, Hay S*, Hernandez L*, Husseini A*, Idrisov BT*, Ikeda N*, Islami F*, Jahangir E*, Jassal SK*, Jee SH*, Jeffreys M*, Jonas JB*, Kabagambe EK*, Khalifa SEAH*, Kengne AP*, Khader YS*, Khang Y*, Kim D*, Kimokoti RW*, Kinge JM*, Kokubo Y*, Kosen S*, Kwan G*, Lai T*, Leinsalu M*, Li Y*, Liang X*, Liu S*, Logroscino G*, Lotufo PA*, Lu Y*, Ma J*, Mainoo NK*, Mensah GA*, Merriman TR*, Mokdad AH*, Moschandreas J*, Naghavi M*, Naheed A*, Nand D*, Narayan KMV*, Nelson EL*, Neuhouser ML*, Nisar MI*, Ohkubo T*, Oti SO*, Pedroza A*, Prabhakaran D*, Roy N*, Sampson U*, Seo H*, Sepanlou SG*, Shibuya K*, Shiri R*, Shiue I*, Singh GM*, Singh JA*, Skirbekk V*, Stapelberg NJC*, Sturua L*, Sykes BL*, Tobias M*, Tran BX*, Trasande L*, Toyoshima H*, van de Vijver S*, Vasankari TJ*, Veerman JL*, Velasquez-Melendez G*, Vlassov VV*, Vollset SE*, Vos T*, Wang C*, Wang SX*, Weiderpass E*, Werdecker A*, Wright JL*, Yang YC*,Yatsuya H*, Yoon J*, Yoon S*, Zhao Y*, Zhou M*, Zhu S*, Lopez AD†, Murray CJL†, Gakidou E.†‡ Global, regional, and national prevalence of overweight and obesity in children and adults during 1980–2013: a systematic analysis for the Global Burden of Disease Study 2013. The Lancet. 2014 May. doi: 10.1016/S0140-6736(14)60460-8.